Divide and rule was the staple stratagem of the British Raj in India. Pitting tribal, religious and socio-economic sectors of society against each other, instead of allowing them to seek ways to work and live together in harmony, was the devious skill of the colonial rulers throughout the British Empire. It was how some one hundred thousand British people occupied and ruled some three hundred million Indians in British India. The fissures, fractures and fault lines that fragmented the Indian Subcontinent as a result of this brutal British stratagem ran primarily along three distinct categories of contention: There was the Muslim India, the Hindu India, and the India of Princely States. It was within this third category of the princely states of India that the British Raj performed with their most devious and underhanded bag of tricks. Like puppet masters and illusionists, The Raj sought to manipulate the princely maharajas and nabobs, the nawabs and nizams, throughout the Indian subcontinent, enticing them with promises of power and strength, while simultaneously bankrolling their weaknesses and exploiting the decadent and debauched flamboyant flaws in their character. It was a continual dance of bait and switch, of smoke and mirrors, scheming and scamming slight of hand, that was the task of the seedy and slithering underworld of the British Raj. Amongst the Indian maharajas, there were those rare breeds and enlightened souls who held firmly to the benevolent traditions and nobles oblige of their ancient culture and kept the greedy and grubby paws of the British Raj off their constituencies. Such a man was Ranjit the Elder, the Maharaja of Nawanagar and father of Prakash, the Prince of Nawanagar. As a young boy growing up in the maharaja’s ornate and gilded palace in Nawanagar, Ranjit would play with various boys in the twelve villages of Nawanagar. 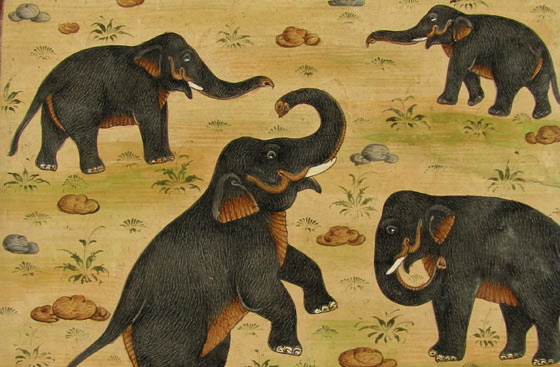 In those early childhood days, Ranjit befriended Randhava and the two boys would often mount and ride together upon the back of the young elephant Lakaji. 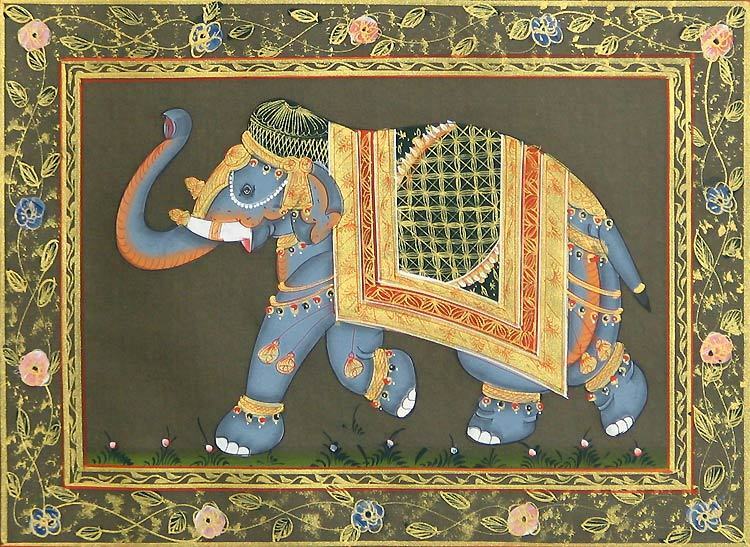 Ranjit and Randhava would ride upon Lakaji’s back, trekking all the way to the forests of Gir. Now, the Prince of Nawanagar had fled with his family to his vacation palace in the sumptuous and mildly temperate hill station of Shimla. 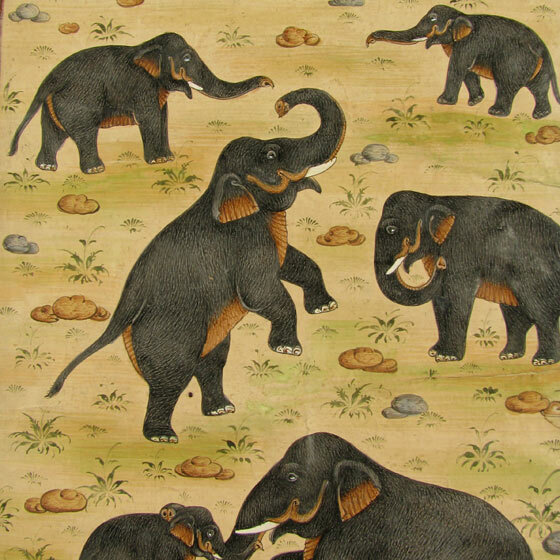 Lakaji the Elder had also fled with his clan of Nawangar elephants, to the forests of Gir, where the vegetation was still lush and the elephant clan could survive the merciless heat of the relentlessly hot sun. Ranjit the Elder, the Maharaja of Nawanagar and father of Prakash, the Prince of Nawanagar, also had a heavy heart as well as much hot anger running through his old veins. Ranjit’s anger flowed directly toward his son, Prakash, who Ranjit considered to be weak-willed and debauched and a mere puppet to the lurid enticements of the Britsh Raj. Prakash was a deeply dishonorable disappointment to Ranjit, who prided himself upon his strength of character and his dedication to the people of Nawanagar. Ranjit the Elder’s heart sank into deep despair at the manner in which his son Prakash had become hoodwinked by the deceitful and duplicitous British Raj’s tactic of divide and rule. Click here for Chapter Eight, Renaissance Ranjit.